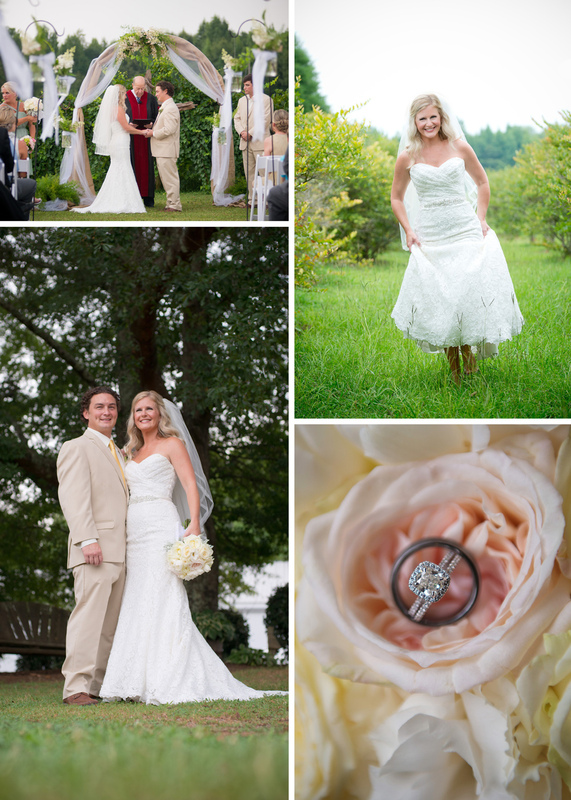 What was your favorite part of having your wedding at Morgan Creek? The family atmosphere. Everyone pitched in-whether it was helping with the flowers, to parking cars…this just made everything run so smoothly. Share one of your fondest memories from your wedding day. As the end of the night was winding down and we were getting ready to leave…our ‘send off’ began with all of our guests lining up to wish us goodbye. When we got to the end…fireworks began!! We had no idea that this was going to happen and it was just an amazing way to end such a great wedding day! Do you have any tips for brides-to-be as they plan their wedding? Don’t fret over the fine details and be willing to let people HELP you! Catering-our friends at Alabama Biscuit Co.